Today’s first tranche of spending cuts will be small beer to rebellious right wing Tories who are now heading for a serious battle with David Cameron. Already angry the he has given too much away to his new coalition partners, the Liberal Democrats, Tory conspirators are already gathering in Commons dining rooms to plot the blue lines he should never cross. The full story is in my blog at http://www.progressonline.org.uk/ in my Tory Tracker column. Cameron may have won a vote by rewriting the election rules for the 1922 committee to allow fellow ministers to vote but his decision infuriated his own whips and some of his own Cabinet colleagues – who seem to have been given no prior warning. And it could come back to haunt him this week. All this is going to do is to further anger some of his biggest critics -the Cornerstone group- the Thatcherite No Turning Back Group and Conservative Way Forward. 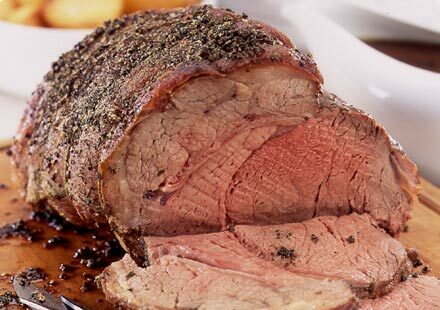 The first lot are now dominating Dining Room A in increasing numbers where they plot over traditional English Fare -like roast lamb and beef – hence the name the ” roast beef rebels”. Their champions vary from Iain Duncan Smith, the new works and pension secretary, to young right of centre Tory blades like Greg Hands. They are starting to attract support from mainstream Tories who are reporting bad news from the golf courses as angry middle class Conservative activities find out they may well be paying 40 per cent capital gains tax on their second home or seaside flat – which had been earmarked as their ” second pension”. One of them faced with people saying to him ” I did not vote Tory for this” had to lamely reply ” It is a Liberal Democrat policy”. The growing anger means that Camerom will find it an increasingly rocky road- as cuts and tax rises bite. Today covered the easy cuts, tomorrow will be different. And Cameron will have to be careful that the roast beef rebels don’t turn his new coalition into an overcooked stew. This entry was posted in Uncategorized and tagged david cameron, edward leigh, greg hands, iain duncan smith, roast beef, tory rebels. Bookmark the permalink. My own blogs would benefit from a proof reader… but ‘toast lamb’. More importantly that link to Progress doesn’t work. I have now changed this. The link does now work and poor proof reading has been sorted. Sorry to readers.